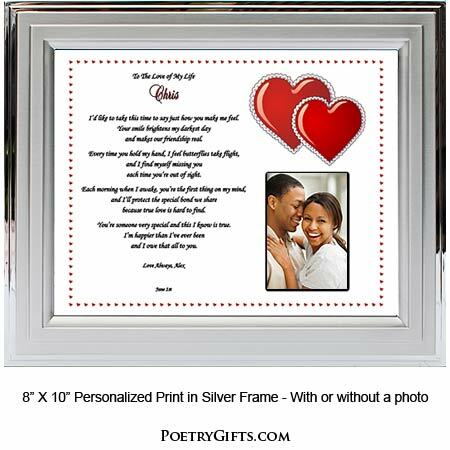 ROMANTIC GIFTS - This heartfelt customized gift of poetry makes a winning present for your special someone! 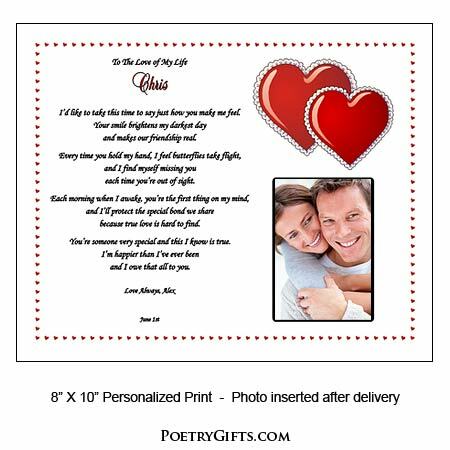 Romantic gift of a customized love poem that is personalized with names, date and personal message from you. Perfect customized gift of love. Unique for an anniversary or birthday gift. 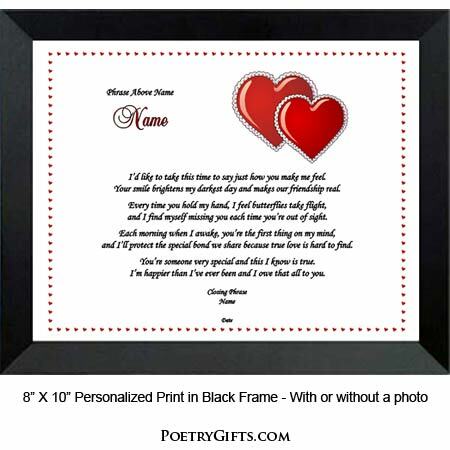 This top selling love poem has touched the hearts of so many of our customers. The double red heart design, romantic love poem, and personalization is a winning combination. Give your "true love" a birthday or anniversary present they will never forget. 3. Closing Phrase and Name (as seen after poem) - Examples: Love Always, With Love, etc."